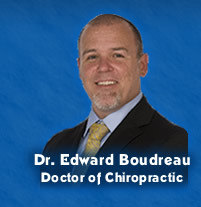 A consultation with Dr. Boudreau is always provided at no charge. New patients are usually seen the same day. Dr. Boudreau uses various techniques of acupuncture to treat those patients with joint or back pain as an alternative to chiropractic manipulation or other pain therapies. Like any treatment, not every patient will respond to acupuncture, but most find significant relief, often when other therapies have failed.